After debuting on AT&T some four months ago, the Blackberry Priv is finally making its way to Verizon. 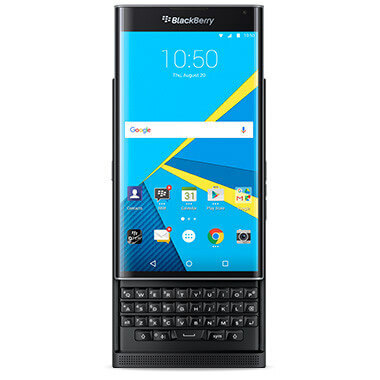 You can now order the Blackberry flagship device and their first running Android on the Verizon website while in store purchasing will be coming on Friday, March 11th throughout the United States. Online, the carrier is offering the Priv for $30 per month for 24 months (a total of $720) or you can buy it outright for $720. Verizon becomes the 3rd carrier in the US to start selling the Priv, after T-Mobile started in January and the original carrier of the device AT&T. That makes Verizon the first CDMA carrier in the country to carry the device. Sprint has not given any indications on if they will sell it in the future. The reviews of the Priv have been mixed but one this is for certain: Blackberry is keeping up with updates on the device. The company has been excellent at providing monthly security updates for the device, in line with those from Google for Android in general. While the Priv is still running Android Lollipop, it is expected to see an Android Marshmallow update this quarter (by the end of this month). There is no indication as to why it took so long for Verizon to pick up the device. When it was announced late last year, the carrier indicated they would be carrying it “soon” after AT&T. Regardless, it is here now and available.